The Lion Electric Co. is innovative manufacturer of zero emission vehicles. 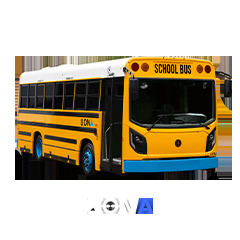 We think, design and manufacture all-electric school buses, midi/minibus for special needs or urban transit as well as urban trucks. Lion position itself as a leading OEM in transportation electrification in North America. We design, manufacture and assemble all components of our vehicles: chassis, battery packs, cabin and powertrain. 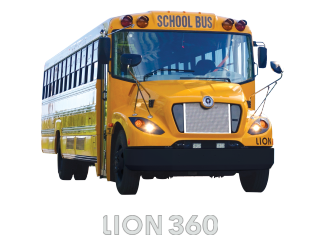 Always actively seeking new technologies, Lion vehicles have unique features that are specifically adapted to its users and their everyday needs. We believe that transitioning to all-electric vehicles will lead to major improvements in our society, environment and overall quality of life. 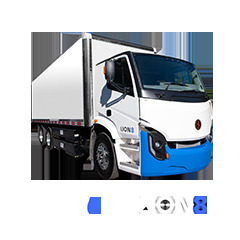 The is an all-electric class 8 urban truck. The class 8 truck is now available for pre-order and commercialization will begin in the fall of 2019. The is the only all-electric Type C school bus manufactured in North America. The body and chassis were specifically designed to deliver optimal performance. The , is an all-electric midi/minibus that meets paratransit and public transportation requirements. Created and designed specifically for the paratransit market, the is spacious and offers unique features that provide enhanced security and accessibility to the end-users. Purchasing an electric school bus is a significant investment. 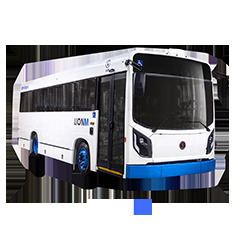 Lion offers a complete support service to help integrate your electric bus into your fleet. 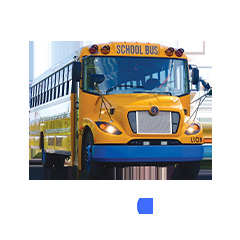 The performance and reliability of our LionC lead our company to believe that this type of product has a definite future in school transportation. Since the acquisition of our LionC, we have noticed the added value and benefits of a 100% electric school bus.